Seattle-based mobile app Stuffstr may help multinational retailers transfer to the circular economy. Clothing giants such as H&M and The North Face have recently partnered with the app to aid their efforts in promoting and enabling a circular economy. Stuffstr provides a simple interface through which users can manage their ‘library’ of possessions and encourages them to donate, repair or give away their disused or unwanted stuff. 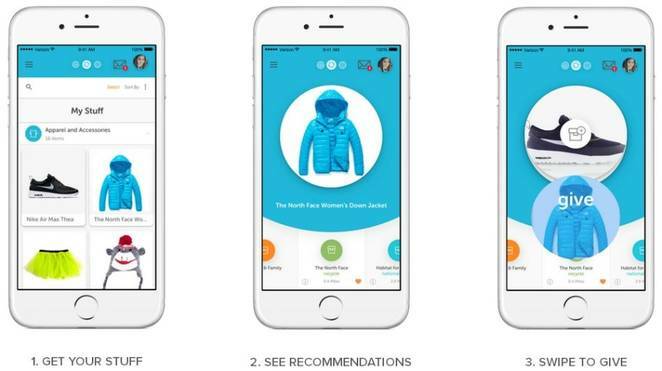 The app helps consumers find local clothing donation sites to recycle their old clothes. These sites will accept all fabrics, textiles and brands and will offer store discounts as a reward. The app is also capable of automatically importing past and future purchases from Amazon in addition to processing online receipts from over 700,000 retailers. These new partnerships aim to address two similar problems. The first is the burden of household clutter: Stuffstr founder, John Atcheson, claims that there is more than $7,000 worth of unused stuff sitting in the average American household. The second is the need to deal with textile waste. A recent study has estimated that 85% of textiles in the US end up in the landfill. Multinational retailers are beginning to acknowledge the scale of these problems but are also recognising the opportunities for change. H&M is one such company with its recent pledge to become 100% circular. By drawing upon the support of new platforms or partners like Stuffstr, it is working to push the development of a circular economy into the mainstream. Adapted from an article by George Armour for the Futures Centre. To read the full article, click here. Tags: Apps, Business, Circular economy, Consumerism, Environment, Fashion, Recycling.